Over the last few months (more days than not, it seems) the sky has been outta control gorgeous. I wonder though, if it's always like this, and if maybe I'm just more aware of it - now that I'm perpetually hunting for cool things to snap. My fascination with photographing the sky started - when I accidentally set my Sony Cybershot to panorama mode, and I just had to experiment with the setting. Before that, I thought it would be silly to use a cheap point and shoot camera for anything other than casual snapshots, and my self-portraits of course - because of the timer. 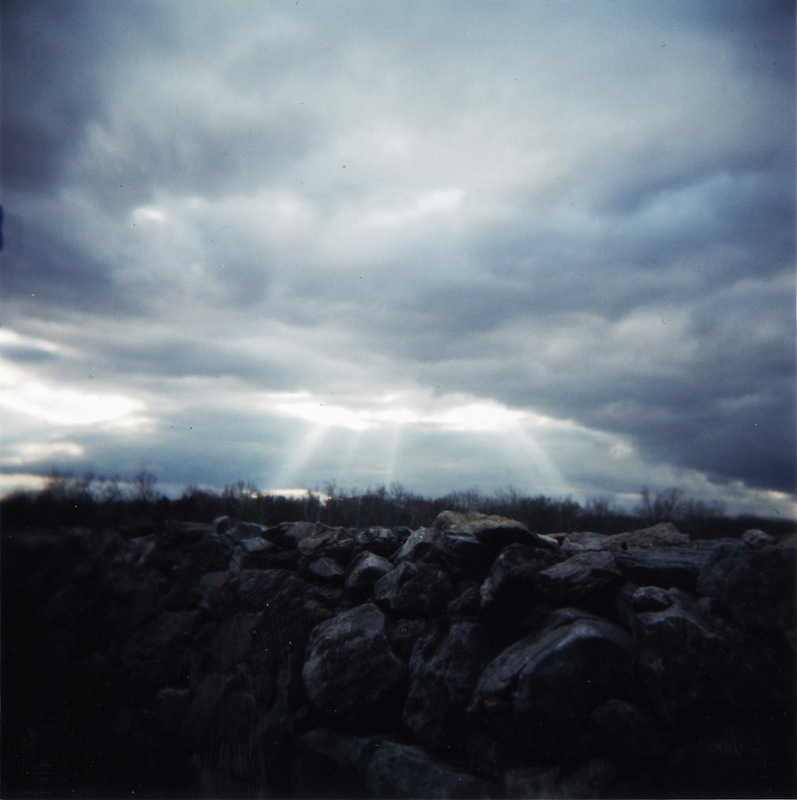 After adding my Holga 120 to the lineup, I fell in love with its uncomplicated ability to capture the capricious nature of clouds. But this raises the question - can using a camera phone along with Instagram (or whatever other) effects - be considered "real" photography? If you ask me, Holga pics. are quintessentially "real". 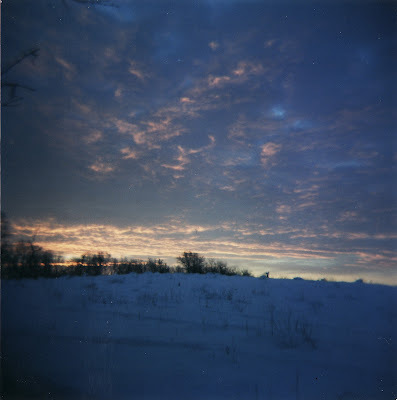 They're taken with film - so whatchu get, is whatchu see. There's no cropping or editing, no brightening the color, and no exaggerating shadows and light, after the fact. 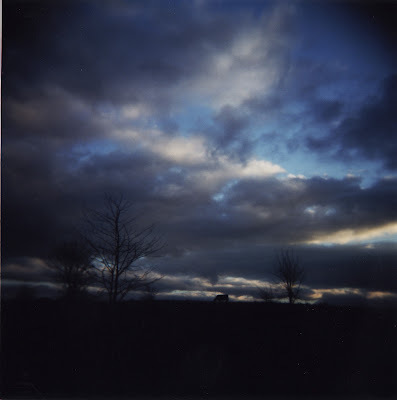 Holga pics. are comparatively humble - but endearing because of their raw simplicity. Instagrams on the other hand, are immediate gratification, bells and whistles, life of the party...loads of fun! But they're kinda like the fast food of photography. They're convenient, they're easy, they're yummy...but are they good for you? You know...like, are they made from the healthiest ingredients? Here's another analogy: where Instagram pics. are oftentimes boisterous and loud, pretending to be more than they are - Holgas are more like that kooky, quiet girl who's perfectly content to sit alone by the wall, watching all of the loud mouths make fools of themselves. She may not be screaming for all of the attention, but she's confident and honest, and pretty without make-up...and if you take the time to get to know her - you'll find that she's actually quite cool - because of her cute, yet quirky demeanor.